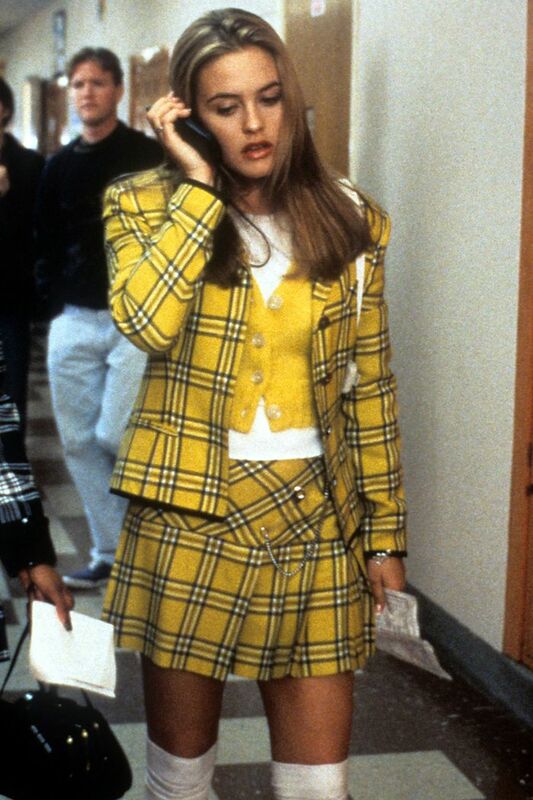 While doing our daily perusal of Topshop's new-in section (it's for work, we swear…), we suddenly felt like we were catapulted back to 1995 and into the digitalised wardrobe of Clueless's Cher Horowitz, you know, the one where she can mix and match outfits on-screen. Checked co-ords, cami tops, strappy dresses, denim jackets, preppy tees—the resemblance to the leading lady's wardrobe is uncanny. Clearly someone on the Topshop design team has been having a throwback movie marathon. In some ways it's hardly surprising, considering '90s fashion has seen such a grand revival this season, with countless high-street stores delivering their own interpretations on the decade's most iconic pieces—and really, who could be more iconically '90s than Horowitz? We got into the Beverley Hills mindset to round up the 15 pieces from Topshop's new-in section that Cher would totally love. Scroll down to shop the edit. What could be more Cher than a checked yellow co-ord? Minis are an absolute must. Gym class never looked so chic. Cher would wear this layered under a strappy top at the weekend. Every Beverley Hills princess needs a pair of chunky-heeled sandals. This graphic print feels very '90s. The perfect top for a teen heartthrob. A house party–ready look if we ever saw one. Cher would wear this with a matching miniskirt. "I want a pony." Need we say more? This is a little more 2018, but we reckon Cher would totally go for it. You can never have too many checked kilt skirts. Cher would love athleisure. These are perfect for standing around and not exercising. Wear these with the above shorts for '90s-inspired sports style.